To all the unpurchased items in my online shopping cart. An Ode to the Unpurchased Items in my Online Shopping Cart. It began with the boot cuffs. I’d been watching a lot of Nashville, a soap opera about country music. One of the lead characters is a super sweet, naive twenty-something called Scarlett O’Connor, who is trying to make it as a poet-slash-song-writer-slash-musician. Scarlett is extremely petite, has long wavy platinum blonde hair that goes down past her bum and possesses an undeniable hippy-vibe. 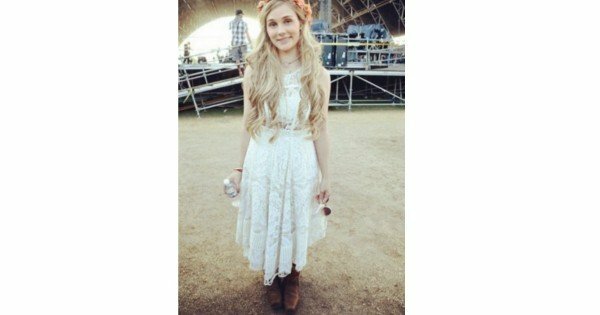 Nashville star Clare Bowen. Image via Instagram @clarembee. They’re the woollen sock-like things poking out the top of her knee-high boots. Boot cuffs are a sartorial – as opposed to practical – item of clothing. The wool does not extend down towards the ankle, enveloping the foot into a warm, cosy embrace. No, no. Boot cuffs are just that: cuffs. Their purpose is decoration not insulation. They provide an additional artsy-crafty vibe to your already whimsical white lace slip, patterned kimono and flower crown. In the midst of my deep dive into Nashville, I somehow ended up with no less than seven pairs of boot cuffs in my online shopping cart. This is despite the fact that I (a) do not actually own the requisite knee-high boots to wear the cuffs with, (b) am not a country music singer, and (c) do not intend to become a country music singer any time soon. Watch the trailer for Nashville here. Post continues below. But in my fantasy-world of television binging – in which I am three sizes smaller, can play guitar and wear my hair out, flowing and free of baby spit – I needed those boot socks. And I needed them in a range of colours, styles and with tortoiseshell button embellishments, too. An online shopping cart is where dreams are born. The goods and services that cart contains combine to form a joyful mirage. They are the accessories to a life I might otherwise have led… had I won $3 million dollars on that scratchy my aunt gave me on my 18th birthday or if I were a different person entirely. While absent-mindedly perusing the internet late at night (especially after more than one glass of red wine), I click ‘add to cart’ with abandon. There is no need to consider price or practicality when adding items to the cart. Those items will be culled by a more sensible, sober, future version of myself. But for the minutes, hours, or sometimes days those peculiar, unnecessary items exist in the cart, I am able to imagine a deliciously different version of me. Someone who can actually stick with a seven day juice cleanse without scoffing down secret carbs in the office bathroom before 11.00am on the first day. Someone who can navigate the practicalities of life in seven inch, stiletto thin heels. Someone who attends red carpet events and needs to own a bedazzled navy and gold ball gown from The OutNet. Someone who has the time and skill for writing calligraphy. 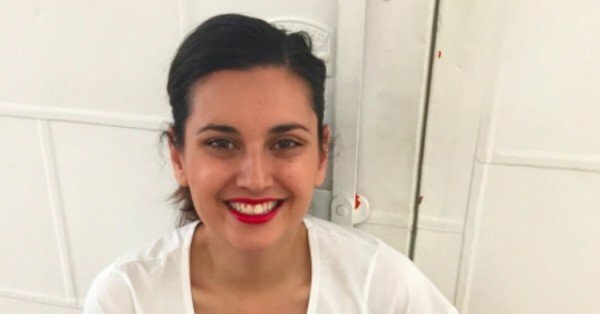 Someone who can wear white linen without spilling red wine or takeaway coffee all over it. 1. A $5,039 wedding dress from Temperley London, in ivory tulle, with paisley embroidery and floral appliqué. She is not engaged. Or in fact, in a relationship right now. 2. 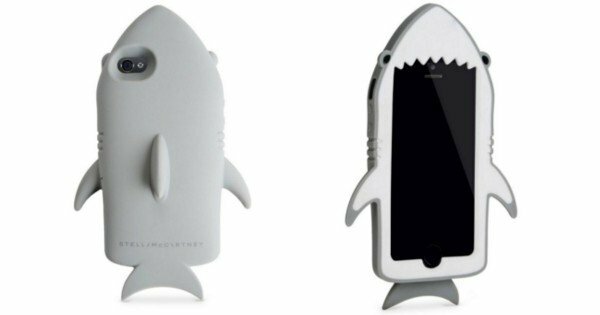 A highlighter pink, $75 Stella McCartney rubber iPhone case in the shape of a shark. Because who doesn’t need one? 3. Quorn. (And no, that’s not a typo. Google it). 4. Clothing name labels for a baby baby, who hasn’t been born yet. This woman and her partner haven’t 100% decided on a name for their child yet but she wanted to see what the shortlist would look like on pale blue stickers with monkeys on them. 5. $860 worth of ASOS dresses, in size XS despite the potential purchaser currently fitting a standard women’s size 14. 6. A hand painted ‘dessert plate’, decorated with sausage dogs wearing knitted hats, coats and booties. 7. 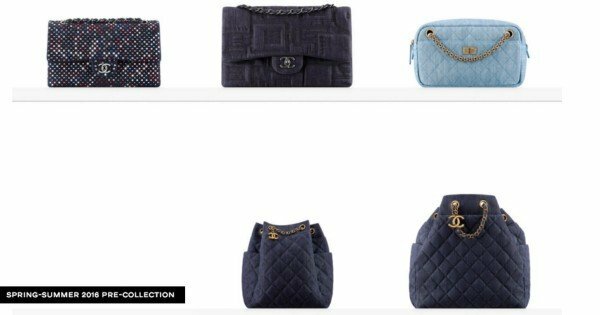 Several Chanel handbags, each costing upwards of $2000. (This from a woman who has never spent more than $45 on a bag in her life). 8. 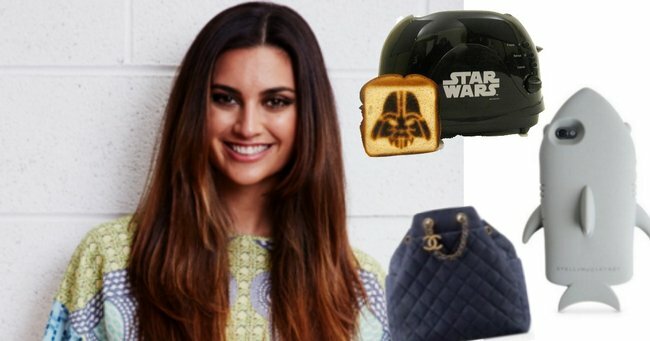 A toaster shaped like Darth Vader’s mask, which prints ‘Star Wars’ onto your bread and muffins. Psychologically speaking, this behaviour isn’t actually unusual. The online shopping cart was invented by marketers who knew that by placing a virtual item – something you can’t otherwise touch or feel – into your ‘cart’, the potential buyer feels immediate ownership over that item. The item is transformed from one of an infinite number of possible products available for purchase, to an item in your possession. An item that you would have to give up by not seeing the purchase through. 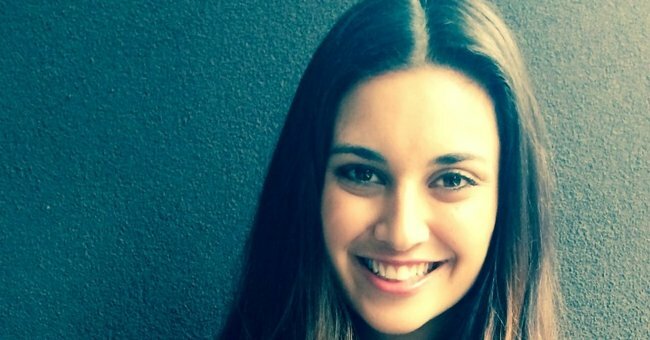 But what those clever marketers didn’t bank on is that the mere act of filling an online cart provides consumers with a partial dopamine rush – the kind that normally comes with a new purchase – without handing over a single cent. Sure, the items in one’s shopping cart may never be purchased but they’re never not purchased either. By putting things in your cart, you stake your possessive claim over them without having to actually possess them. It’s bizarre logic, I’ll grant you. But it also works. Now if you’ll excuse me, there are some Christmas themed scented candles that need my attention.